(CNN) -- One of the most wanted terrorists on the FBI's list may have forged an alliance with al Qaeda members against U.S. forces in Iraq, according to U.S. and coalition intelligence officials. "The Iranian intelligence service has not only facilitated the presence of al Qaeda in Iran, but it is also hosting Imad Mugniyah and his associates," said St. Andrews University professor Magnus Ranstorp, considered one of the leading experts on Hezbollah and Mugniyah. Intelligence officials link Zarqawi and Mugniyah because they say both men have worked with groups operating out of the same refugee camp, Ein al-Hilweh, in Sidon, Lebanon. Ranstorp said the presence of Zarqawi and Mugniyah together in Iran does not necessarily represent a marriage of Hezbollah and al Qaeda. Rather, he and other terrorism analysts see it more as an alliance of powerful individual members of these groups who share a common interest in attacking the United States. "You have unprotected U.S. servicemen who are relatively easy to get to and therefore we should not be surprised that it's become a magnet for those so called mujahedeen who would travel there from 30 nations," Ranstorp said. Iran's government has consistently denied it is harboring terrorists. Last month, Iran's intelligence minister said it had several al Qaeda members under arrest. The possible links between Zarqawi and Mugniyah resurfaced after the bombing of the Jordanian Embassy in Baghdad last Thursday. Investigators are in Baghdad looking at the bomb and its detonator for clues. Zarqawi is the U.S. intelligence community's top suspect in the attack. Intelligence sources said they have focused on Zarqawi because they believe he has both a history of attacking Jordanian targets and a motive -- he was sentenced to death in absentia by a Jordanian court for plotting to blow up hotels during the millennium celebrations. The investigation into the embassy bombing has not only led coalition intelligence officials to Zarqawi. It also prompted them to consider his possible links with Mugniyah, who is on the FBI's list of Most Wanted Terrorists. U.S. officials believe Mugniyah was responsible for killing more Americans than anyone else until the September 11 attacks. 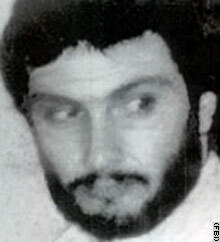 He is suspected of masterminding the bombing of the U.S. Embassy and the attack on the Marine barracks in Beirut in the early 1980s. The attacks helped drive U.S. peacekeeping troops out of Lebanon. The barracks attack killed 241 Marines. Mugniyah was indicted in the United States on charges he masterminded the hijacking of TWA Flight 897 in 1985 during which U.S. Navy diver Robby Stethem, a passenger, was murdered by the hijackers. Mugniyah has been linked to al Qaeda in the past. One al Qaeda member testified in a U.S. court that he helped arrange a meeting between Osama bin Laden and Mugniyah in the 1990's. Intelligence officials believe his alleged ally in Iraq, Zarqawi, has been behind other terrorist attacks in the region. The Jordanian government also has charged Zarqawi with being the mastermind behind the assassination of U.S. diplomat Lawrence Foley in Amman last October. Jordanian investigators believe Zarqawi ran the operation from Iraq, where they think he fled after the United States invaded Afghanistan. CNN's Mike Boettcher and Henry Schuster contributed to this report.